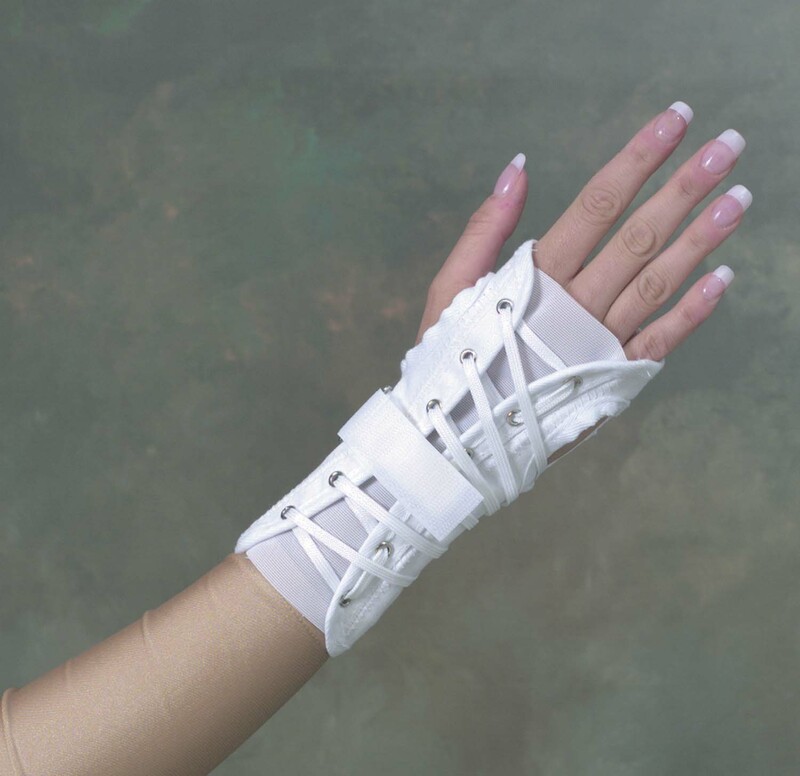 Designed with removable metal splint to help keep wrist in neutral position. Includes back lacing with hook and loop adjustment tabs. Comfortable, white cotton material. Designed to fit both right and left wrist. Machine washable. Wrist size: 8-1/2" - 9-1/2"